Happy New Year! A deep and sincere thanks to those who have already contributed to the Annual Fund so far. To date, we have raised $470,000 towards our $685,000 goal. If you haven't participated yet, please consider helping us to reach our goal, while doing something great for your community and your child's school! 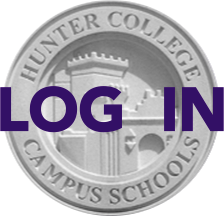 We hope you'll join us in supporting all of the wonderful aspects of a HCHS education, since just about everything beyond the basics at Hunter is supported by the Annual Fund. Please be a part of it by making your donation here. Here's to a great Hunter 2018!